It is with great regret that Swiss Taekwondo learned of the death of Mr. Xavier Rathgeb, 3rd Dan Taekwondo, founding Master of Il Gi Dojang in Geneva, member of Swiss Taekwondo. An accomplished Martial Arts Master, he will be missed also as a beloved husband and father of two young children, teacher, and voluntary fireman at the service of the community. 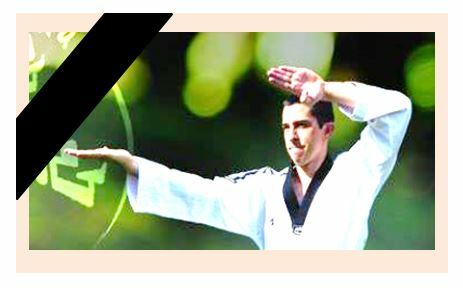 Our thoughts are with his family, friends and the whole Taekwondo community in mourning his loss. C’est avec un profond regret que Swiss Taekwondo a appris le décès de M. Xavier Rathgeb, 3e Dan Taekwondo, Maître fondateur d’Il Gi Dojang Genève, membre de Swiss Taekwondo. Un maître accompli en arts martiaux nous a quitté, mais aussi un professeur apprécié, pompier volontaire toujours au service de la communauté, et d’un mari, père de deux jeunes enfants. Nos pensées sont avec sa famille, ses amis et toute la communauté de Taekwondo en deuil. Mit grossem Bedauern erfuhr Swiss Taekwondo vom Hinschied von Xavier Rathgeb, 3. Dan Taekwondo, dem Gründungsmitglied von Il Gi Dojang in Genf, Mitglied von Swiss Taekwondo. Er war ein erfahrener Martial Arts-Meister und wird auch als geliebter Ehemann und Vater von zwei kleinen Kindern, Lehrer und freiwilligem Feuerwehrmann im Dienste der Gemeinschaft vermisst werden. Unsere Gedanken sind bei seiner Familie, seinen Freunden und der gesamten Taekwondo-Community, die um seinen Verlust trauern.